Household pests can invade your home and pose a possible threat to your property and your health - that’s why pest control is such an important service. 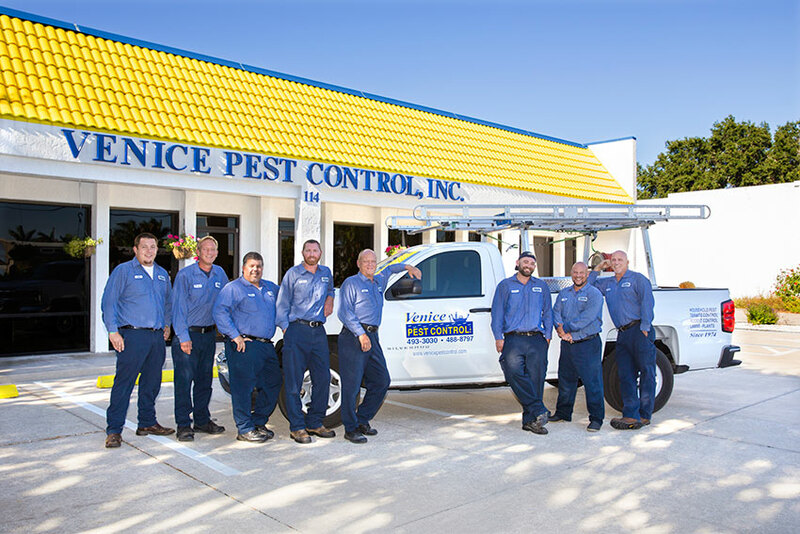 Let Venice Pest Control help prevent unwanted pests in and around your property. Our trained professionals will perform a thorough inspection of your property both inside and out. We will identify all areas where pests may be invading your home or a problem might exist. Our residential clients enjoy the convenience of quarterly services, with industry-leading advanced pest control solutions and technology. One complete interior and perimeter service, with three more quarterly perimeter treatments within a year will provide your home with the protection needed. Included with our service is the removal of spider webs, eggs and wasp nests around the exterior of the property. Our service will help prevent against everyday household pests such as ants and roaches, as well as the seasonal and occasional invaders such as silverfish, earwigs, millipedes, spiders, beetles and many others. Using the industries advanced low toxicity products helps to keep our service safe, yet effective. Should a problem arise between regular services, we will return at no additional charge to you. We also offer an innovative and organic ant control method, KM AntPro stations. Just contact us and we’ll be happy to tell you more about these continuous, around the clock, innovative bait stations. Commercial pest control service is also available. We realize that each commercial business is unique, and our services are tailored to meet those individual needs. Contact us today for more information or we can provide a free in home estimate.